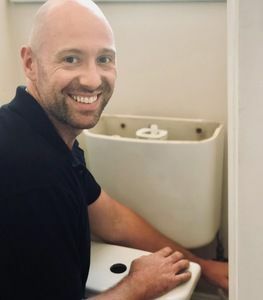 Welcome to Thames Boilers – a local company established in 2017 by George (above), who is an experienced heating engineer and plumber - Dartford based, he offers plumbing, heating, and gas services to help local customers get their problems fixed quickly. So much so our aim is for you to say "that's the best plumber Dartford has ever seen!". What Plumbing Problem Can We Help You With? 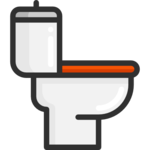 If your toilet doesn’t flush, doesn’t fill, overflows, or leaks, we can fix it for you. Most toilet repairs are completed within an hour. Whether your tap is dripping, not turning on, off – or anything else. You can have us repair it or simply replace it for you. 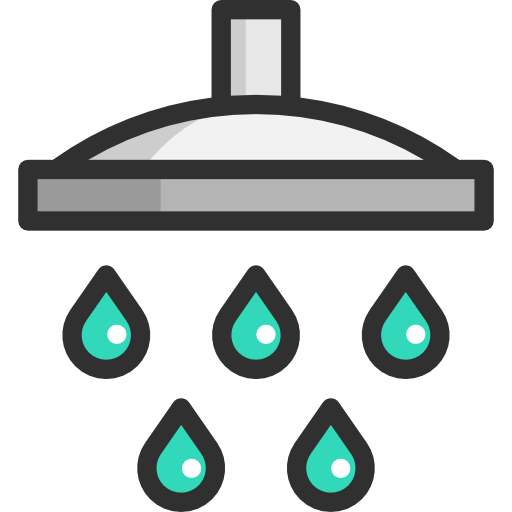 Whether it’s a shower repair, replacement or a new installation, you can rely on Thames Boilers to give you a great shower. 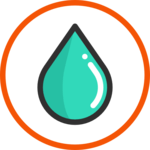 You can get your leak fixed quickly and inexpensively, wherever it’s coming from. As experienced plumbing and heating engineers we can fix your leak permanently, even if it’s coming from your heating system or your boiler. Is your overflow pipe dripping? No problem. Most overflow problems are straight forward to fix and usually don’t cost the earth. If your waste pipes are blocked and you’ve tried the plunger and the drain unblocker, it’s time to call a professional. 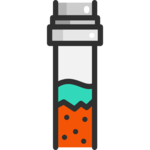 We’ll help you get your pipes unblocked quickly and with minimal fuss. Dartford is a a very hard water area, so lots of people choose to install a water softener to stop hard water damage in their home. If you would like advice or a water softener quote, feel free to contact us for a chat. An outside tap is so convenient for all kinds of things like washing the car, washing your dog and jet washing. And now you can have a hot outside tap as well as a cold one. So why not get in touch for a quote? 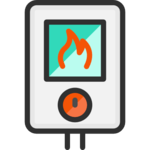 If you’ve got a problem with your hot water cylinder, we can fix it for you. Or it might be time for a replacement hot water cylinder. If it is, we can for it for you for a reasonable price and not too much inconvenience. When you’ve got a plumbing emergency, that last thing you want is to be over charged. At Thames Boilers, you’ll know exactly what the charges will be as all our prices are completely transparent. Unlike other Dartford plumbing companies, you won’t be charged for hours of labour at high call out rates. We aim to get your plumbing emergency under control within an hour. 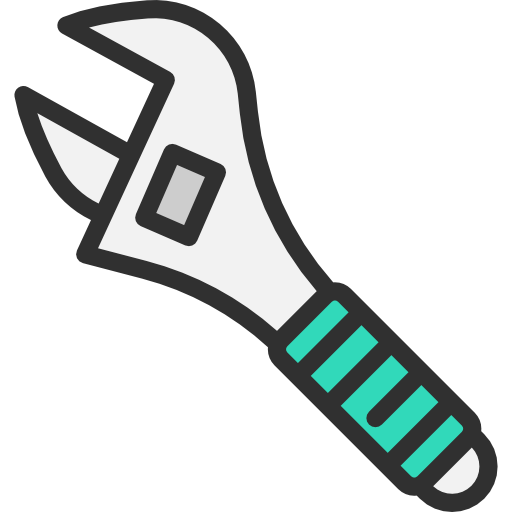 This means you can get the repair finished off the following day during normal hours when rates are lower. Because Thames Boilers is a genuine local Dartford plumber, not somebody pretending to be local, we really can get to you quickly. Sometimes in as little as half an hour. We'd like you to say "that's the fastest plumber Dartford has ever seen". Most people turn to the internet to find a recommended Dartford plumber these days, not their friends or family. 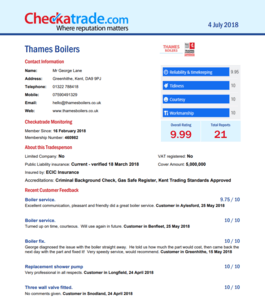 That's why Thames Boilers is a proud member of Checkatrade, the website people use to find professional tradespeople. We've got a near perfect score of 9.99 of out 10, with plenty of reviews from happy customers. You can check out our Checkatrade page here. 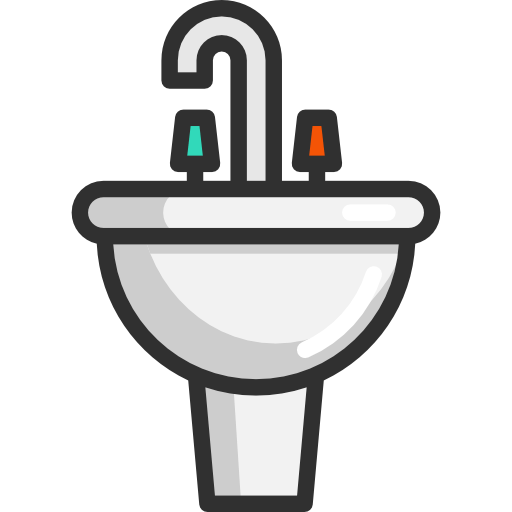 Should You Use A Cheap Plumber? Some people look around for a cheap plumber, but that’s not always a good idea. An experienced plumber takes years to gain their qualifications, skills, tools, insurances, and recommendations – just like any other professional. And just like any other professional who you trust with your health and well being – such as a lawyer, doctor or dentist – it doesn’t pay to hire the cheapest one, as it may cost you in the long run. At Thames Boilers, we never claim to be the cheapest plumber in Dartford, but we’re certainly not the most expensive either. You will, however, always get great value for money. So why not call today for a chat while you’re reading this? These 3 tips will help you to prevent common plumbing call outs saving you time and money. You don’t need any special tools or training, so anyone should be able to cut the chances of a plumbing emergency! Frozen pipes cause lots of call outs during the winter. To stop your pipes from freezing, you need to make sure they’re lagged. Lagging is either made from foam or a felt-like material. Both of these help to keep your pipes warm enough to stop them freezing when it gets cold. So check in your loft and under your ground floor floor boards (if possible) to see if any of the pipes are not lagged. You should also see if your boiler has an external condensate pipe. If it does, you need to lag it, because if this freezes, it can stop your boiler working when you need it the most. Your stopcock is like a master switch that turns off the water supply to your home. You will probably never need to use it, but it’s still worth knowing about, in case the worst happens. Your stopcock is usually under your kitchen sink and it’ll be quite low to the floor. If it’s not there, you will likely have a stopcock outside near the boundary of your property, usually near the front by the road. You may need a special key to turn this off. Once you’ve found your stopcock, make sure it works! Turn it off, then turn on your cold water kitchen tap, making sure it runs to a stop after a couple of minutes. If it works, it means you can turn your water off if you ever get a leak, which could save you a massive insurance claim. 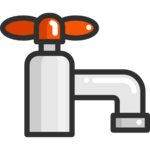 A lot of call outs are caused by low water pressure on your boiler. 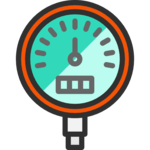 It’s easy to top up your boiler’s pressure and isn’t something a heating engineer or plumber needs to do. 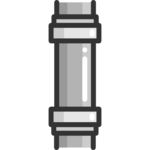 You can top up the pressure by finding your system’s “filling loop” which is a silver flexible pipe about 6 inches (15cm) long linking two pipes together. There will usually be a small black plastic lever on either end of this. If you turn those levers 90 degrees for a few seconds, then back to their original position, you’ll add more pressure to your heating system. The best way to learn how to do this is to see how it’s done. Youtube is great for this. Just search “how to re-pressurise boiler” or something similar.